Staff Photo by Dan Henry / The Chattanooga Times Free Press- 10/21/16. Chancellor of UTC Steven Angle, Ph.D., speaks during The Urban League of Greater Chattanooga's annual Equal Opportunity Day breakfast at the Chattanooga Convention Center on Friday, October 21, 2016. Email correspondence between University of Tennessee at Chattanooga top officials shows that lawmaker pressure influenced the decision to fire WUTC reporter Jacqui Helbert. "The potential repercussions for the state representative and UTC are HUGE," UTC Chancellor Steve Angle wrote in an email on March 20. "We could easily lose all funding we are providing to WUTC." Angle argues Helbert should be fired, not suspended, for failing to announce herself as a reporter when recording lawmakers, in the email sent to top UTC employees and Tom Griscom, a consultant to the university. Griscom is the former executive editor and publisher of the Times Free Press. He retired from the paper in 2010. "I do not see an offense that is much worse," Angle writes in the email. "I feel we are gambling with the future of WUTC." 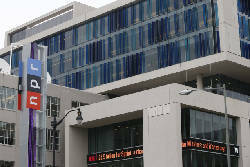 The Times Free Press obtained the emails through a records request. 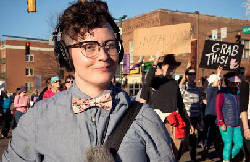 UTC fired Helbert on March 21, after she reported and produced the story for WUTC, an NPR affiliate, which followed a group of Cleveland High School students as they traveled to the state capital March 7 to meet with Sen. Mike Bell, R-Riceville, and Rep. Kevin Brooks, R-Cleveland, about the state's transgender bathroom bill. After the story aired, a local lawmaker complained to UTC that Helbert did not explicitly identify herself as a reporter while talking to Brooks and Bell. Several employees at UTC said the lawmaker threatened to cut some state funding to the university. Helbert maintains she was wearing an NPR press badge and carrying bulky radio reporting gear, including a 22-inch fuzzy microphone she pointed at the lawmakers as they spoke about the legislation. Bell and Brooks told the Times Free Press they never noticed a reporter was in the room and were frustrated to hear a story was aired about the meeting they thought was private. Top National Public Radio officials released a statement last month saying Helbert should not have been fired and urged WUTC to reach an agreement with UTC that ensures the station's editorial independence. Helbert should have explicitly introduced herself to the lawmakers, but the fact that she had her gear "would be obvious signs to any public officials that they were being recorded — most likely for some type of public posting," the statement continues. UTC first received a call from a local lawmaker complaining about Helbert's story on March 16, in advance of a planned meeting between university officials and lawmakers the next day, George Heddleston, senior associate vice chancellor of marketing and communications for UTC, previously stated. Heddleston would not say which lawmaker called to complain and said he was unaware of lawmakers threatening to cut funding. In 2016, UTC contributed more than $510,000 to WUTC. But in the emails, Angle refers to a "Todd," and state Sen. Todd Gardenhire, R-Chattanooga, was one of the lawmakers that met with UTC on March 16. Gardenhire previously told the Times Free Press that UTC handled the situation regarding Helbert before the meeting, and denied making threats to cut the school's funding. Gardenhire did not immediately return a request for comment on the email exchange Thursday night. But according to the UTC emails, the situation had not been handled by the March 16 meeting. Griscom responded to Angle's March 20 email advising that Helbert just be suspended for the time being. "I would like to leave some maneuver room if Todd comes back and says, no, the reporter should be fired," Griscom wrote in the email. "If we put all of our cards on the table at the start, the options are limited if he asks for more." Griscom also did not immediately return a request for comment. Angle then responds to Griscom, saying, "this does not feel good to me. I believe in accountability and this is not about Todd." Angle wrote that he does not want Helbert on staff. "Do you think Todd is going to, play games with us?" Angle continues in the email. "Let me know what you think the risks are in terminating the reporter." There is no record that Griscom responded to Angle's question by email. But later that night on March 20, Heddleston sent an email to someone in the university's human resources department, saying, "I have a crisis tonight that involves the Chancellor wanting a part-time employee immediately fired, someone employed at WUTC." Heddleston continues, "I need to discuss whether we have grounds to fire this woman." The next day, Heddleston fired Helbert, and in her termination letter he stated she was being fired for not identifying herself as a journalist. 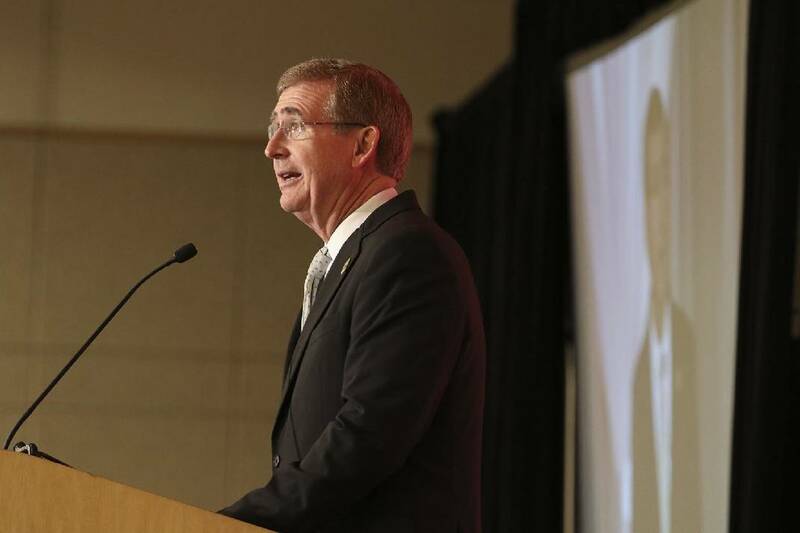 In a weekly UTC campus newsletter, Angle addressed questions about the firing directly. "The decision to terminate a part-time WUTC employee was based on my concerns about credibility, transparency and upholding ethical standards in the process of news gathering," he wrote. "The failure of a WUTC reporter to readily identify herself as such, to state her affiliation with the radio station, and to acknowledge that she was working for WUTC to report on a high school group's legislative day on Capitol Hill is the source of concerns on which the decision is based." Helbert filed a lawsuit against UTC last week asking for her job back and for damages of up to $1 million. Records also showed a number of individuals threatening to withdraw current and future financial support for the university. "Reverse this decision or expect ongoing damage to [the] stature of your college," wrote one person in an email to Angle. "I would certainly never send my children to a place that has revealed its true colors in this way." Staff writer Emmett Giennapp contributed to this report.